This superior green Pu-erh Beeng Cha was produced by Haiwan Tea Factory, the director is the retired chef from Menghai Tea Factory. Mr. Zhou Bing Liang is now in charged of the complete tea processing methods to guarantee a premium quality. 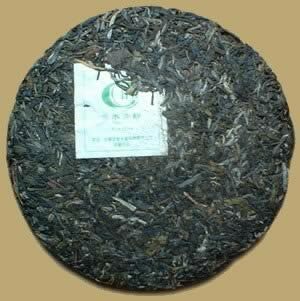 Haiwan has selected large leaves from Arbor trees for this superior Pu-erh cake, excellent for long-term storage.